Today needed a special effort to honour a special lady. My good friend Liz lost her battle with cancer on this day three years ago. 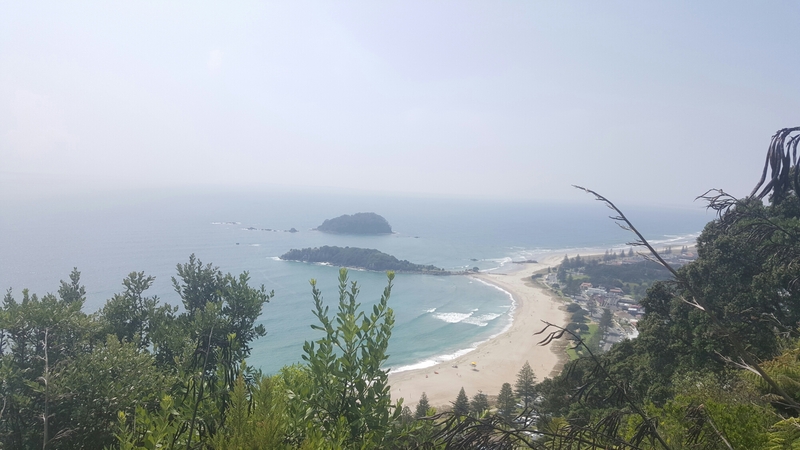 Kate, her daughter is staying with us at the moment, and since I was heading over to Edgecumbe to work with a school today, I thought it would be a good opportunity to climb Mauao, more colloquially known as ‘The Mount’ or Mount Manganui. 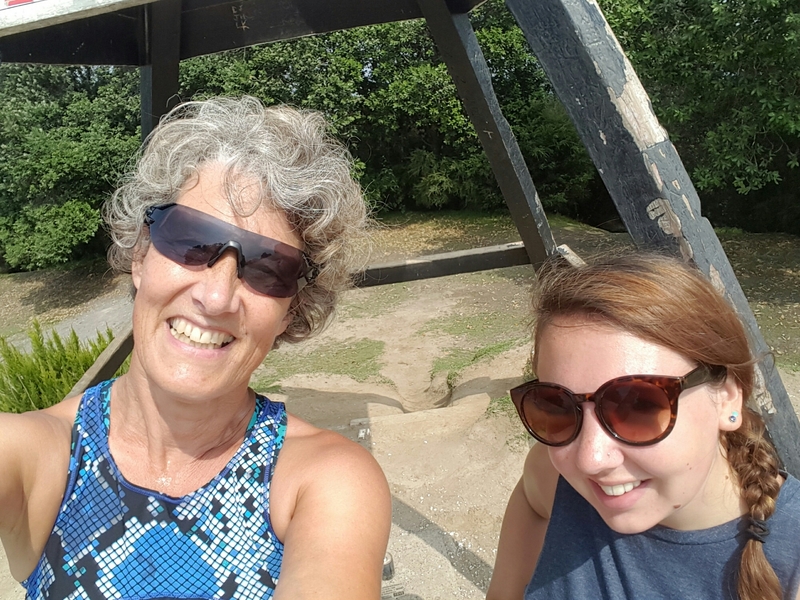 Its 232m height is gained in just short of 2km of winding track so in the hot sunshine it is no mean feat and a fitting tribute to a wonderful Mum and friend. Here we are at the summit. And a cheating extra – a view from the top.